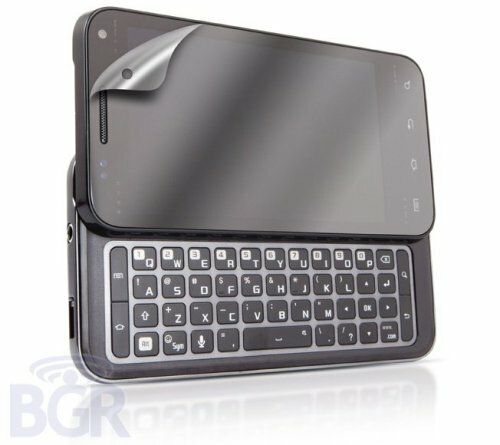 Looks like that leaked QWERTY Galaxy S phone we reported earlier this summer is confirmed to be headed to Rogers. MobileSyrup is reporting that it will be called the Samsung Galaxy S Glider. What odd is that it is apparently a Dual Core device, has 8MP camera and is sporting a 4-inch Super-AMOLED (Plus - we assume a typo by MobileSyrup) screen. All of these specs scream Galaxy S II so we will assume this was a mistake by the rep that spoke with MobileSyrup. [Edit] It seems like this in fact is a Samsung "Galaxy S" device. Although in a video courtesy of Canadian Reviewer, the Samsung rep incorrectly states that it's the first Galaxy S phone with a full QWERTY keyboard as the Epic 4G on Sprint in the US was the first with a full hardware keyboard. Which makes us still think this is in fact a Galaxy S II device (on top of the Quadrant scores that indicate a high end dual core processor). We are still perplexed at the possibility that a dual core phone would fall under the "Galaxy S" brand name as it is just plain bad marketing given the wind of good press the "Galaxy S II" is getting. Check out the video after the break.